Save on laptops, phones, and more. 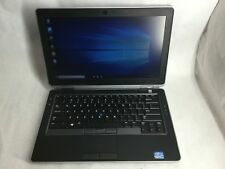 New Listing DELL LATITUDE E7250 - CORE i7 - SSD - INTEL HD GRAPHICS - SUPER DEAL!!! MODEL: E7250. SIGNS OF USAGE FROM DAILY USE. (SEE PICS ). NO OTHER INFORMATION IS AVAILABLE. NO OTHER ACCESSORIES. (NOT TOUCHSCREEN). WHICH MAY NOT BE EASILY SHOWN IN PICS. ITEM MAY HAVE MILD DENTS, DINGS OR SCRATCHES THROUGHOUT. Hard Drive: 1TB. RAM: 8GB DDR4. Manufacturer: HP. Includes Laptop, Power Adapter, Power Cord & The Instructions. Part #: 1TJ81UA#ABA. Salt Lake City, Utah 84116. 431 N Wright Brothers Drive. Pickup Location. 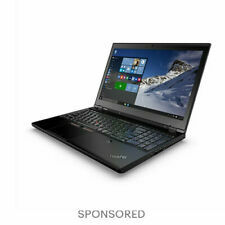 Type: Notebook/LaptopBrand: HPProcessor: Intel Core i3 7th Gen.
WiFi 802.11 b/g/n | Bluetooth 4.0. 15.6" HD Vibrant Display (NOT Touchscreen). Features of this HP. Optical Drive (DVD Drive): DVD-RW. LAPTOP BOOTS TO BIOS BUT NO OS, NO DRIVERS ARE LOADED! TOUCH SCREEN WORKS GREAT! 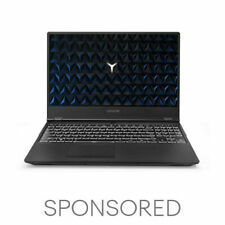 Ending Thursday at 7:08AM PDT18h 55mTop Rated PlusType: Notebook/LaptopBrand: DellProcessor: Intel Core i7 5th Gen.
HP 15-p030nr Beats Special Edition Laptop 15.6" 1.7GHz AMD A8-5545M 8GB 1TB W10. Condition is Used. Shipped with USPS Priority Mail. 16Gb RAM 1Tb SSD. Microsoft Surface Book 13.5" i7-6600U. Tablet Adapter Only. Convertible 2-in-1 Laptop: This ultra- thin, high-performance laptop is equipped with incredible 3000 x 2000 screen resolution & the versatility of a tablet.Windows 10 Pro13.5" PixelSense display: 3000 x 2000 resolution for ultra-realistic detail. 1TB HDD 16GB Optane. Laptop Type. Active digitizer pen. Combo microphone and headphones audio jack. DVD Optical Drive. Yes (SD card reader). Video out via USB-C. Video Ports. Trending at $434.95eBay determines this price through a machine learned model of the product's sale prices within the last 90 days. Storage Size / Type 500GB 5400rpm Hard Drive. Optical Drive DVD RW. Integrated Webcam / Microphone Yes. Storage Size / Type 500GB 5400rpm Hard Drive. Optical Drive DVD RW. Condition Open Box - GRADE A. 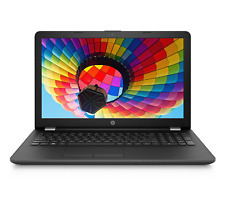 Beautifully designed inside and out, this HP diagonal 15 in. 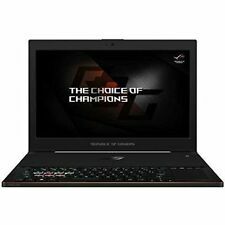 laptop is perfectly suited for your lifestyle. You can stay entertained and keep connected with a long-lasting battery and a rich HD display. 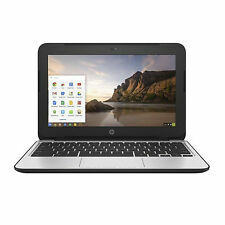 When it comes to choosing a laptop or netbook, eBay's inventory is extensive. 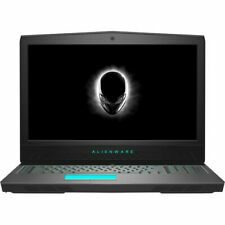 This holiday season, you can pick from a range of brands such as HP, Dell, Lenovo, Asus, Acer, and many others, excellent if the tech enthusiast in your family is partial to one or two brands in particular. What is the difference in a netbook and a PC Laptop? Technically the difference is size and weight. When the portable computer first came on the market, ''laptops'' were larger, had more features, and weighed more than ''netbooks.'' However, thanks to advances in technology, components are now smaller and lighter than ever. Still, a netbook generally tends to keep a screen size of around 11 inches and under. 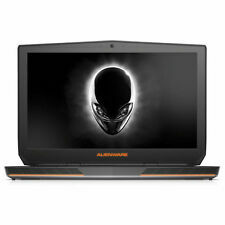 One of the first things to look at before you pick what personal computer you want is the operating system. It's what allows the hardware to communicate and operate with the software. Often a computer's OS will fall in more than one of the following types: GUI (Graphical User Interface), Multi-user, Multiprocessing, multitasking, and multithreading. Does your college student plan to play games? Watch movies? The installed graphics card is essential for the visual effects people will enjoy while playing video games and watching movies. Since you do not know what the future holds, consider getting a graphics card that is upgradeable. How much is enough? When it comes to netbook memory, the rule of thumb is to have more RAM than the minimum requirement of the applications and the OS the computer uses. In fact, it's ideal to have at least the highest recommended requirement. For example, if the minimum RAM required is 8GB and the maximum is 16GB, you will want at least 16GB and if feasible more than 16GB of memory. If this machine will be for work on the go, you need to ensure the battery will last long enough to finish a project. Battery life varies from system to system. For those that plan to stay plugged in most of the time, it's not that big of a deal, but for those who want to go cordless, it's a vital feature. For informational purposes only. eBay is not affiliated with or endorsed by any brands.